Friends of Mount Sinai is a group of young professional leaders and families with a personal interest in the Mount Sinai Health System. The Friends share a passion for the importance of excellence in patient care, medical research, and education in their community. Friends of Mount Sinai welcomes anyone interested in beginning or furthering a relationship with the Mount Sinai Health System. 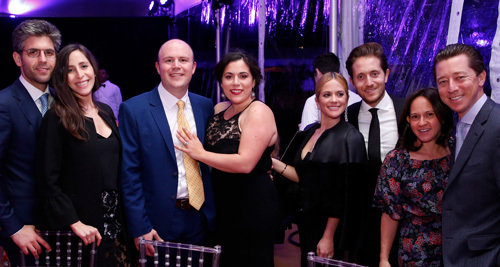 Friends are granted unparalleled access to Mount Sinai’s top physicians, scientists, and medical professionals through educational and social events and activities. In addition, Friends gain an insider’s perspective on the exciting advances in health care and research occurring at Mount Sinai. We hope that through these efforts Friends will develop a deeper understanding of the value and importance of engaging philanthropically with the Health System. The Mount Sinai Health System understands the importance of fostering strong relationships with young leaders in the tristate area. 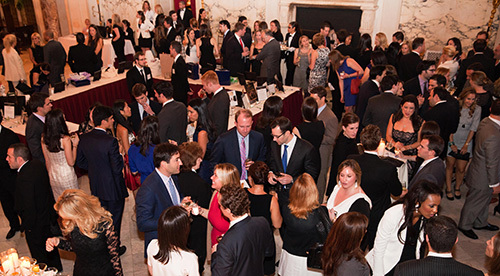 Friends of Mount Sinai events offer a myriad of opportunities to learn about and support, the latest advances in medicine and patient care at Mount Sinai, while connecting with peers and hospital leadership. Social events hosted throughout the metropolitan area that feature thoughtful conversation with doctors and other health care professionals on a variety of topics. Intimate gatherings held in the homes of the Friends of Mount Sinai board members. These evenings feature topical discussions with renowned Mount Sinai physicians and scientists. Join our panel of experts as they reveal the truths and debunk the myths about environmental health and its impact on the health of your children and family. Open to all Friends of Mount Sinai. Chaired on behalf of the Friends by Revital and Benjamin Reitzes. A special FOMS rate is available. Dr. Ashish Atreja founded the Sinai AppLab (aka the “APPiest Place on Earth”) in 2012. The Sinai AppLab now boasts extensive experience creating, implementing and evaluating technology platforms to address the needs of patients, health care providers, and researchers within the Mount Sinai Health System and beyond. Learn how the Mount Sinai AppLab is transforming patient care, research, and experience with a humane and always connected approach.